Will Indonesia Save the Six Party Talks? North Korea wants Indonesia to potentially advocate on its behalf on the world stage. Indonesia may have a much larger role to play in North Korea’s international diplomacy, including potentially helping mediate a return to the Six Party Talks. As Zach reported a few days ago, North Korea dispatched its foreign minister to Southeast Asia for a “charm offensive” of sorts. North Korea Foreign Minister Ri Su-yong visited five Southeast Asian nations and attended the 2014 ASEAN Regional Forum in Napyidaw, Myanmar. Perhaps one of his most interesting stops on this tour was in Indonesia, where he presented a “concrete proposal” to Indonesian Foreign Minister Marty Natalegawa, which addressed, among other topics, a possible resumption of the Six-Party Talks on North Korea’s nuclear program. Although details are scant, reports suggest that Indonesia may act as an intermediary between North Korea and the United States, China, Russia, Japan, and South Korea (the other five parties to the talks). Indonesia has positive relations with each of these countries. The proposal allegedly addresses “the issue of nuclear proliferation, the issue of ballistic missile launches, [and] the issue of military exercises,” according to Marty. 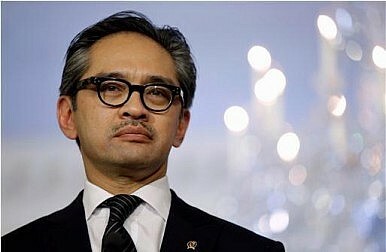 Indonesia, particularly with Marty Natalegawa as foreign minister, has been remarkably interested in North Korea. Last October, Marty visited North Korea, spending three days in the country. Back then, he met with Ri’s predecessor Pak Ui-chun and Kim Yong-nam, the chairman of the Presidium of the Supreme People’s Assembly. During the trip Marty also made it clear that his country’s first interest in North Korea was to take advantage of the limited economic reforms that were being initiated by Kim Jong-un, including the creation of special economic zones. With Ri’s proposal this week, Indonesia may find itself becoming somewhat of an advocate for North Korea in Asia. Indonesia has historically defended its close relationship with North Korea by arguing that diplomatic isolation is counter-productive. One analyst described Indonesia’s view towards North Korea in the Jakarta Globe in 2012, noting that in Indonesia’s mind, “there’s always a place for North Korea if and when it wants to engage in dialogue.” Indonesia might now have to make good on that offer. So far, the specifics of Ri’s proposal remain nebulous. However, it’s worth noting that from Indonesia’s perspective, advocating for North Korea with the likes of the United States, China, Russia, South Korea, and Japan will likely have little lasting benefit. Under Marty’s bilateral vision as of his visit to Pyongyang last year, Indonesia would position itself as a partner for North Korea in exchange for economic access. Elevating this relationship to the bilateral and strategic level would likely disproportionately benefit North Korea. Apart from the modest international prestige of serving as a mediator, Indonesia has little to gain in practical terms. If, by some stroke of serendipity, Indonesian intervention results in a return to the Six-Party Talks, Indonesia could gain international clout as an effective intermediary. It’s worth noting that Ri Su-yong was Kim Jong-un’s guardian during the North Korean leader’s childhood in Switzerland. He took up the mantle of North Korea’s foreign minister in April. Ri and Kim are suspected to be rather close given their long-lasting personal relationship. Indonesia, although not a major North Korean partner by any means, enjoys close ties with Pyongyang. The two countries have had diplomatic relations since 1961 and maintain embassies in each other’s capitals. Indonesia’s support made it possible for North Korea to participate in the ASEAN Regional Forum (one of the few international meetings to which North Korea regularly sends a delegation). At this year’s ASEAN Regional Forum, ASEAN leaders condemned North Korea’s recent provocative behavior in a joint statement. North Korea pulled out of the Six-Party Talks in 2009, resuming work on its nuclear program. The talks have been stalled ever since.